Sizing recommendations are designed for the average cruiser who lives aboard & must be prepared to ride out storms at anchor. Day sailors may consider sizing down. When making sizing recommendations for a working anchor we are generally referring to the needs of a cruising boat spending most of its time on anchor, in doing so we try to envelope high sustained winds (40 kts) and assume poor holding conditions (low viscosity bottoms). Some may think these recommendations to be too conservative especially when compared to sizing tables from other manufacturers. Companies often make claims of superior anchor efficiency, stating that their small anchor X will outperform a much heavier anchor from their competitors and often use sizing charts as a marketing tool to that end, recommending anchors and anchor systems that are dangerously undersized for their intended use. Comparing surface area can be a good judge for potential holding capability. Our anchor sizing recommendations are presented in the table below and are divided in three categories: Lunch Anchor category is recommended for lighter use, expected winds under 25 knots, working anchor for winds under 40 knots and finally, storm anchor recommendations are intended for winds up to 60 knots. These recommendations are made assuming the worse case scenario, a poor holding bottom and thus may seem conservative but we believe are accurate. Mantus Anchors. The best anchor in the world. Period. That is a pretty bold statement to make. 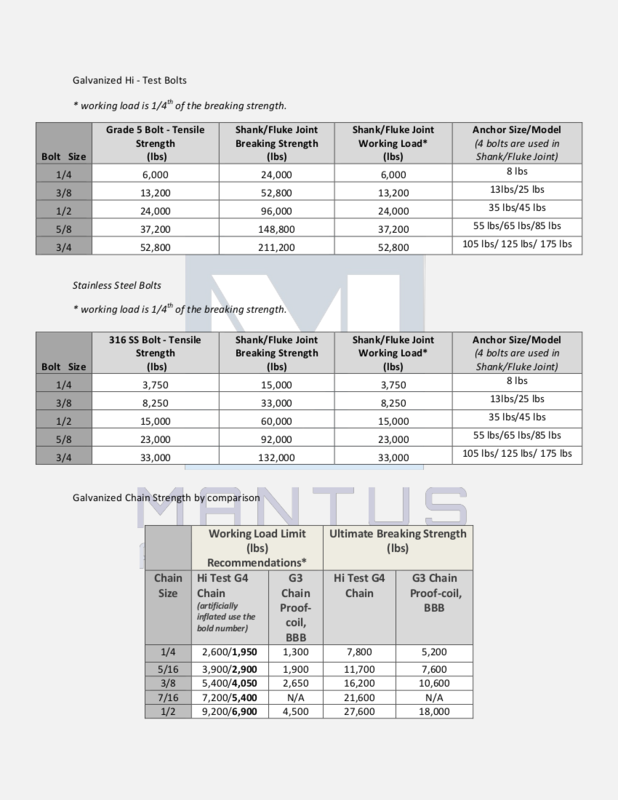 We have tested Mantus against every other popular marine anchor on the market, and this is the conclusion we have arrived at. But don’t take our word for it. Order a Mantus today and try for yourself. We offer a lifetime warranty. That’s right. LIFETIME. Try our anchor or any of our products and if you aren’t completely satisfied, simply contact us for a full refund! 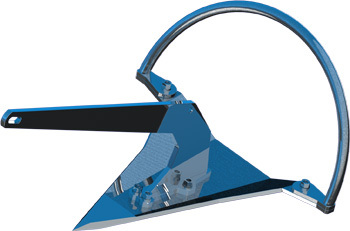 If at anytime the anchor becomes damaged, simply contact us and we will ship a replacement part.